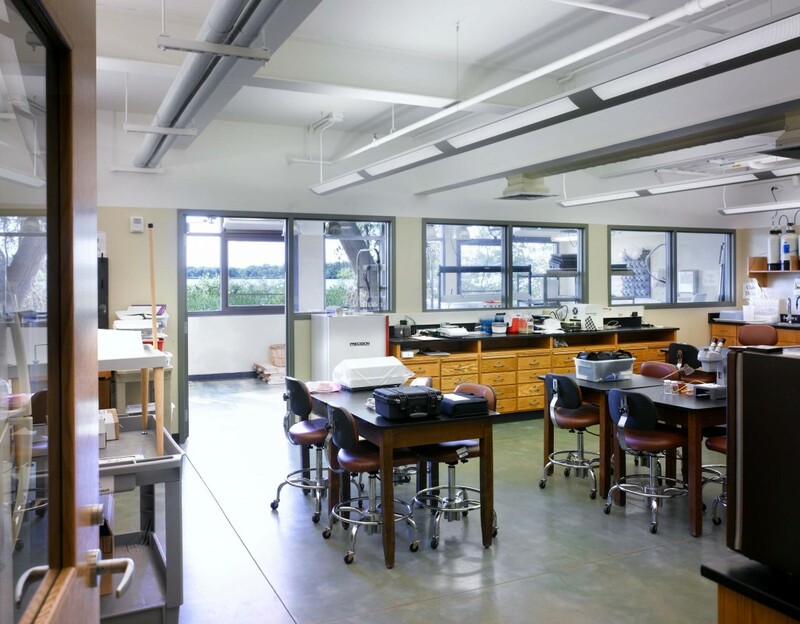 The Mazzuchelli Center addition and renovation houses water research labs, science classrooms, and office space. 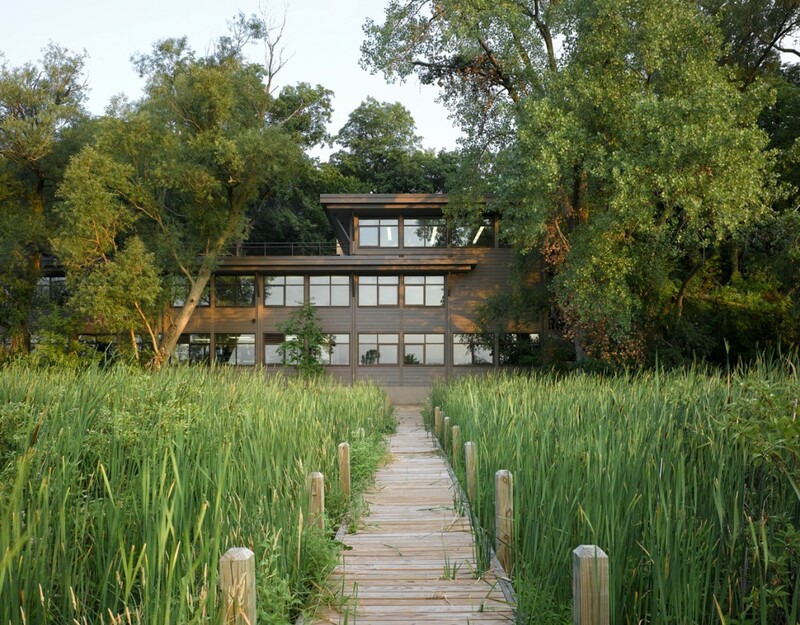 The picturesque setting of this project along Lake Wingra lends itself to the natural science conducted with the facility. The building has daylight sensors, sun shading overhangs and operable windows connecting occupants to the natural outdoor environment. To maximize efficiency of the mechanical systems, the building is equipped with a light that signals when air temperature and humidity levels are right for opening the windows. Potter Lawson selected green products, such as recycled ceramic tile, concrete composite siding and recycled rubber exterior roof pavers. 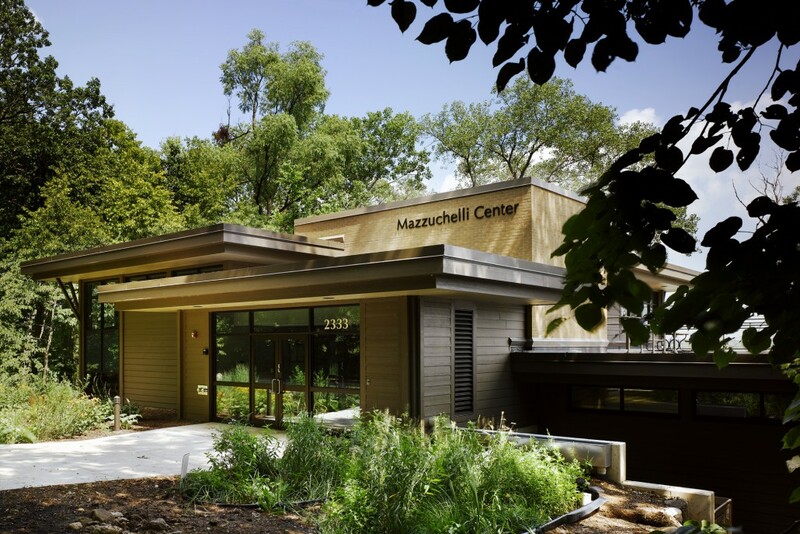 To promote water conservation, the building is designed to have the ability to collect rainwater from the roof for use in science room aquariums. 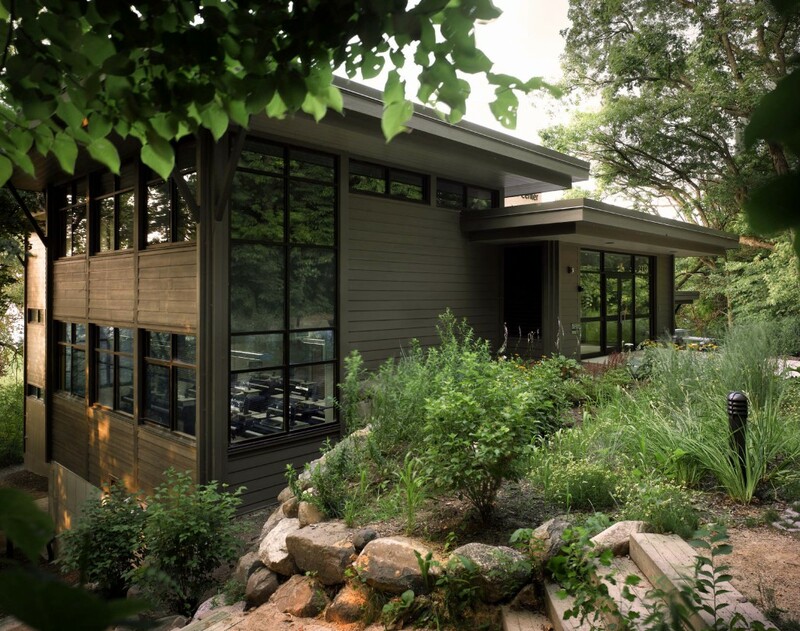 The overflow of rainwater is directed to a rain garden near the entry of the building, informing occupants about the benefits of rainwater filtration and indigenous landscaping. The college has also planned to install a living system that will filtrate lake water while providing a teaching tool, storing heat in the winter and filtrating the low winter sunlight.